So, you’ve been hired by Criteo R&D, congratulations ! Now, what will your first hour in the Paris office look like ? Well, get out of the metro, walk up the street a bit and find your way into the lobby. Ask the receptionist to ping your buddy. Wait, my WHAT ? Surely you mean my manager, my recruiter or some HR person ? Nope, I said “your buddy”. It’s someone from another R&D department that will greet you when you arrive, show you around the important parts of the building, tell you the basic things you need to know and then deliver you into the waiting arms of your welcoming team. We thought “hey, welcome, I’m your buddy” is a nicer greeting than “hey, welcome, I’m your manager”. Dunno why but it’s true. Perhaps it’s the way it sounds ? Buddy. Rhymes with friendly. Hmmm, that’s very nice of you but to be honest, I already have lots of buddies, no need for you to provide me with a new one. Certainly. We are happy that you have lots of friends (and remember that we have a generous referral program). But your Criteo Buddy is mostly a way to help bootstrap your group of acquaintances. Usually, we choose people that are fairly well-connected within the company so they can easily point you to the right person whenever you need something. And you won’t mind asking them because that is what buddies are for ! This goes double-extra-plus for foreign newcomers. We try to pair them with a fellow compatriot who will be glad to share his/her experiences. OK, ok, I get it. So what is the buddy welcome tour like ? Your buddy will take you to the important places. She/he will get you your access badge and show you the rooftop with its 360° view of Paris, the game room with the obligatory foosball and ping-pong tables, the in-house restaurant with its gourmet cooking (this is France, of course there will be great food), and the various services available to us. Together, you’ll drop by the HR operations desk so you can have your stack of paperwork to fill (this is France, of course there will be paperwork). She/he’ll take you for a cup of coffee and then finally drop you off at your desk just as your team finishes their daily stand-up meeting. She/he will also make sure you know where the after-works happen and in general keep a friendly eye on you in your first weeks so that you know you have someone taking care of you beyond your manager and your immediate colleagues. You know, it actually kinda starts to make sense. Even if “buddy” does sound a bit cheesy, no offense intended. None taken. We’re in France, we like it cheesy. This is just an example of us Criteos trying out a way to make something better. We thought that this program would make life easier for newcomers in their ramp-up period. And we regularly update the “buddy checklist” from the feedback we gather. Take an idea, try it for real, get feedback, improve, and repeat. Basically, that’s what Criteo is all about. 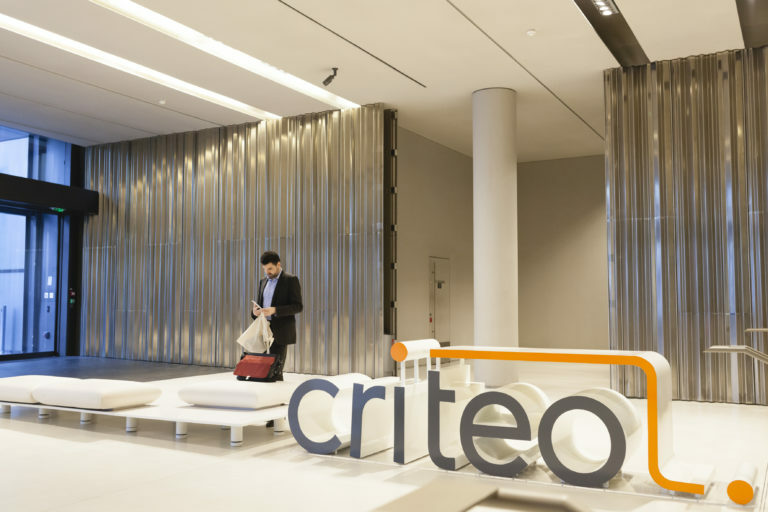 Would you like to live the Criteo experience ? You may have heard about our business, our petabytes of data and millions of queries per second, our Big Data™ and machine learning, but before anything else Criteo is simply an amazing group of people. So, want to find out who your buddy will be ? Apply. Now. We’re hiring and we’ve got cookies. Rhymes with buddies.